The former head of Oxford Labour Club who quit after making allegations of anti-Semitism has won backing from more than 30 former leaders at the society. Alex Chalmers stepped down as co-chair of the club this week and claimed many members, as well as Oxford students, “have some kind of problem with Jews”. Now 32 former chairs or committee members have written an open letter for LabourList in support of Chalmers in which they describe their “horror” at reports of repeated use of anti-Semitic terms within the club. Noni Csogor, the remaining co-chair of Oxford Labour Club, said the organisation “has always been against racism and oppression in all its forms”. The row was sparked by the club’s decision to endorse Israel Apartheid Week, a series of rallies against the Israeli government’s approach to Palestine. Chalmers quit the club in protest at the endorsement and now his stance has been supported by the former chairs, who claim the week “emboldens extremists”, and urge the club to reconsider. They wrote: [IAW] “serves as a vehicle for promoting the academic, cultural and economic isolation of the Jewish state”. The organisers of the week have strongly denied the allegations and describe themselves as an “anti-racist” organisation. Csogor said Oxford Labour club would discuss their response to Chalmers’ comments and “what concrete steps we can take in future to preserve a club that’s been a safe haven for Jewish students in the past”. He has tweeted: “There needs to be a full enquiry and suspension of Oxford University Labour Club for the allegations of racism”. “The Labour Party condemns anti-Semitism in any form. Following recent allegations of anti-Semitic behaviour and intimidation at Oxford University Labour Club, Labour Students have launched an immediate investigation and the Labour Party welcomes and supports this action. 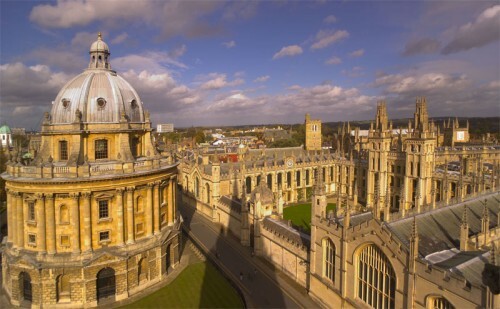 This week the members of Oxford University Labour Club (OULC) voted to endorse so-called “Israel Apartheid Week”. As former Chairs and Executive members of OULC, we oppose this decision and condemn it. We support the decision of one of the current Co-Chairs, Alex Chalmers, to resign in response. Israel Apartheid Week purports to be a conference promoting intellectual discussion. In reality it is little more than a gathering of propagandists seeking to dismantle the only majority-Jewish member-state of the United Nations. It principally serves as a vehicle for promoting the academic, cultural and economic isolation of the Jewish state. In doing so, it strengthens the hand of those who oppose the two-state solution and emboldens extremists who seek to “resolve” the conflict by extinguishing one of the parties to it. It is wrong to contend that Israel – a multiracial democracy – even remotely resembles the horrors of South Africa’s racist dictatorship. Israel is a nation largely composed of refugees and their descendants – from both Europe and the Arab world, living in a land to which they have deep historical and religious ties. Worse, the appropriation of the term “apartheid” is an affront to black South Africans. The supporters of Israel Apartheid Week would do well to remember the words of Nelson Mandela: “As a movement we recognise the legitimacy of Palestinian nationalism just as we recognise the legitimacy of Zionism as a Jewish nationalism. We insist on the right of the state of Israel to exist within secure borders, but with equal vigour support the Palestinian right to national self-determination.” We share this vision and believe it is in the best traditions of OULC. We don’t pretend for a second that there are no problems in Israel-Palestine. We have not forgotten Israel’s military occupation. We don’t ignore the imperfections of Israeli society. We don’t overlook the tragedy of conflict. But we are troubled by OULC’s decision and feel compelled to speak out. Finally, we observe with horror what Mr Chalmers describes in his note of resignation as co-Chair from OULC. This is not the OULC we remember and which we proudly led. OULC and the Labour Party have a long and distinguished history of fighting racism and injustice. We urge the current members to remember that tradition and to reconsider their decision.